Mmm Thai curry. Hello delicious. Not to be confused with its tumeric-based Indian and Pakistani cousins, Thai curries are made of red, green, panang, and massaman curry pastes (among others). While both kinds of curries are delightful, the Thai version is heavy on the vegetables and often comes in a coconut milk broth. I made a big batch of this to feed me and some out of town guests who are Vegan. If you are a carnivore, you can make yours with chicken pieces or beef and chicken broth. I made my own green curry paste using a recipe I found on the internet years ago (God knows where) but you can use a jar or packet purchased from the grocery store. If you are a vegetarian or vegan, and you pre-purchase the curry paste make sure you buy the kind that doesn’t have fish sauce or shrimp paste in it! In a frying pan sear the tofu on medium to medium-high heat. Make sure all sides are seared. 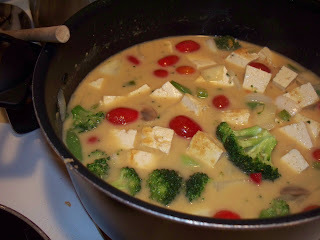 While the tofu sears and the rice cooks, heat the sesame and olive oils in a large pot or dutch oven over medium heat. 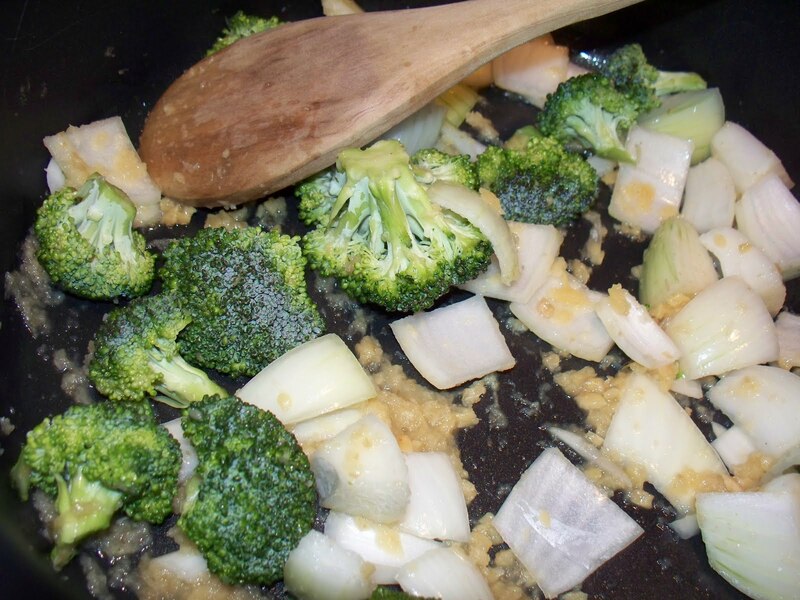 When the oil is warm, add the garlic, ginger, and onion. Saute until translucent. 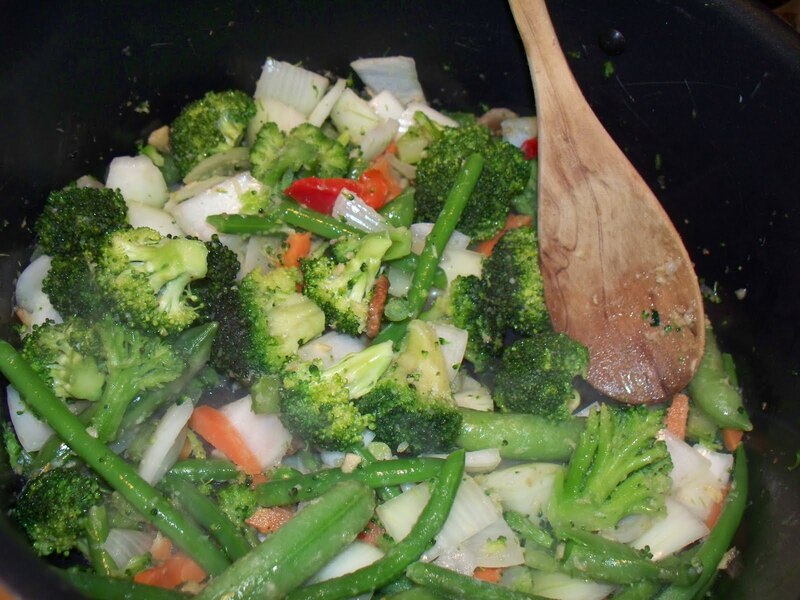 Add the broccoli and frozen vegetables and cook, stirring often, until the vegetables begin to get tender. Add the tomatoes and stir to mix all the vegetables together. Add the coconut milk and the curry paste. Stir to fully dissolve the curry paste. Start in small batches, because remember, you can always add more curry paste but you’ll have a hard time taking some away! When curry paste is dissolved add the vegetable broth and bring to a boil. 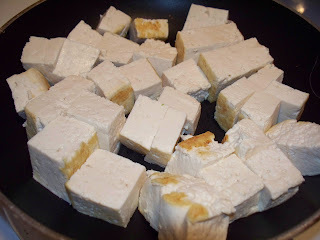 Turn heat down to simmer and add the seared tofu, stirring to combine. Continue to add curry paste, as needed, until the curry is to your taste. 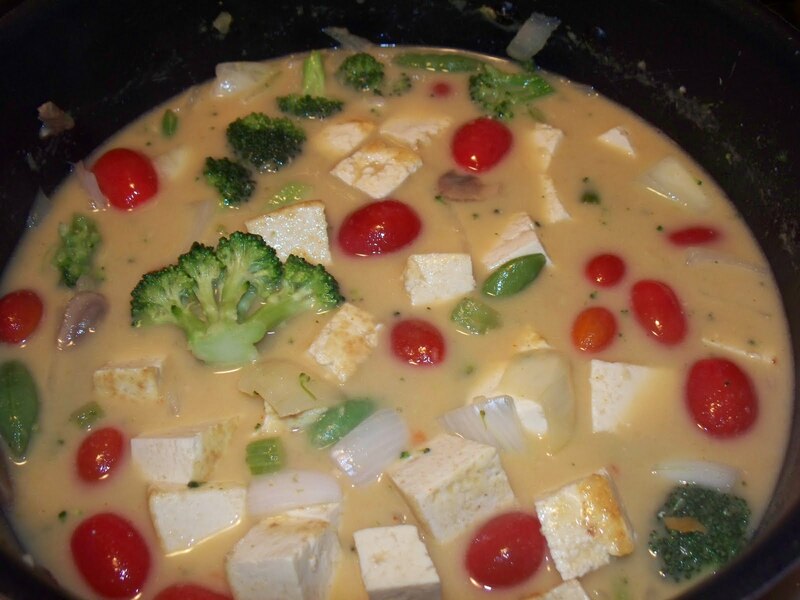 curry, leah charney, tofu, tomatoes, vegetables, vegetarian, younique eats. Bookmark the permalink. Post a comment or leave a trackback: Trackback URL.